Let’s face it: skin can be problematic. Yet your skin is one of the first features people notice about you. That is why so many skin-correcting products take up the shelves in stores around the country. Many of these potions, masks, and lotions promise to eliminate common problems such as wrinkles, acne, fine lines, acne scars and more. Those same products fail to deliver results. Imagine a skin rejuvenation system that curbs all those problems and more to reveal your best skin ever! This kind of magic exists in Dermalogica Bioactive Peel. Everyone wants youthful looking skin. Though the process of aging affects the quality of the skin, there are ways to make it appear softer, smoother, and replenished. Some folks turn to botox and plastic surgery. Others stick to store-bought products. But chemical peels have shown absolute results in rejuvenating the skin and getting rid of imperfections. These peels are performed by doctors and certified professionals. Unlike other chemical peels, Dermalogica Bioactive Peel contains the highest quality ingredients to reveal your best looking skin. This peel gets the job done without causing the irritation and inflammation that peels typically do. No matter your skin type, this amazing peel is gentle but effective. You don’t have to feel intense pain to get quality results! The preparation step provides a solution that helps the peeling agents properly seep into your skin. The peel is administered. This peel contains a powerful blend of acids that will renew your skin cells, aid collagen production, and absorb protein. The neutralization process balances your skin and soothes it to health. Natural ingredients are used in this repair process. Results from the Dermalogical Bioactive Peel can be seen right away. Your skin will feel and look tighter after the process. It may take up to a month to see the full outcome. This peel has been proven to even skin tone, promote elasticity, clear acne, reduce wrinkles, and soften skin. This will take years off your appearance and add a natural glow to your skin. Of course, results depend on the condition of the skin. Some people may benefit more from receiving this peel consistently. Multiple sessions through the year may be necessary to correct severe skin issues. After the peel, the professional skin therapist will suggest a care package that will nurture and heal your skin. The product package will include cleansers, moisturizers, and a sun protector. You should use these special products as recommended to keep your skin looking and feeling its best. You’ve probably spent countless dollars over the years in hopes of finding the secret to youthful, clear skin. Stop searching and wasting your money! 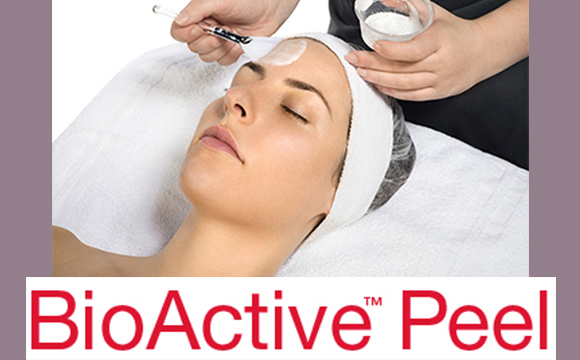 Dermalogica Bioactive Peel at Expert Skin Therapy by Katrina is the solution to all your skin woes. Uncover rejuvenated, smooth, and firm skin. You will look and feel like a million bucks!